1. 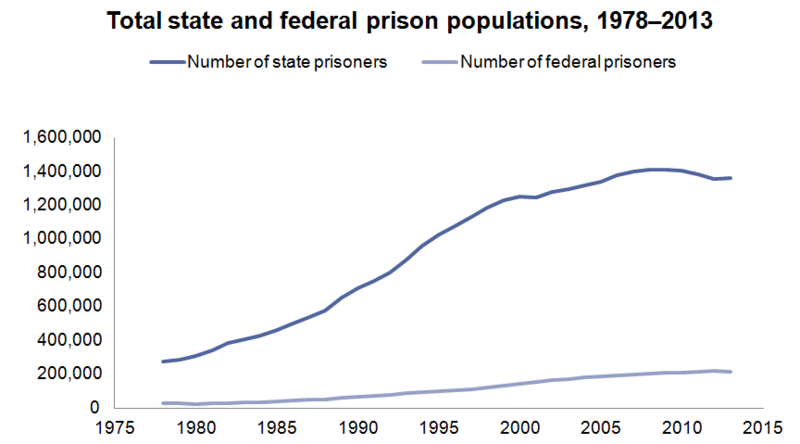 Fewer Prisoners. 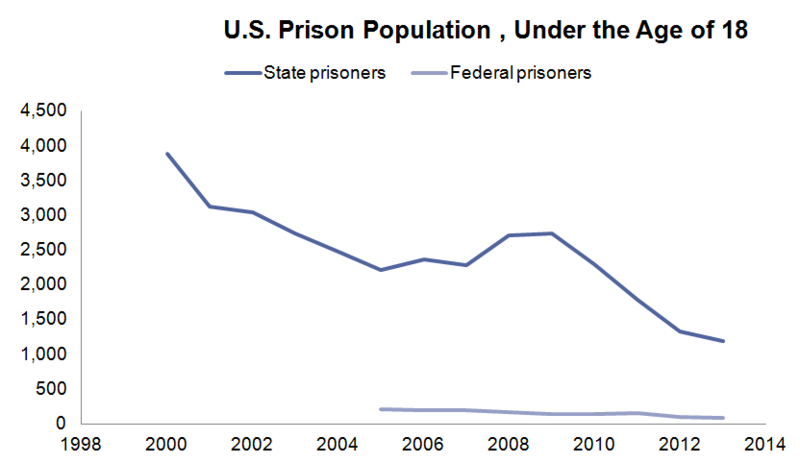 Our prison population is finally shrinking, and the drop has been especially pronounced for young Americans. That’s a first step for social mobility, as 90s-era incarceration policies have locked young men—mostly of color, mostly for nonviolent offenses—out of the formal labor market. Of course, this may be a necessary, but insufficient step in terms of removing barriers to upward mobility; we also need to create opportunities in the neighborhoods most impacted by high incarceration rates. That means providing families with better health care, better schools, and better tools to build their futures. Fox et al. 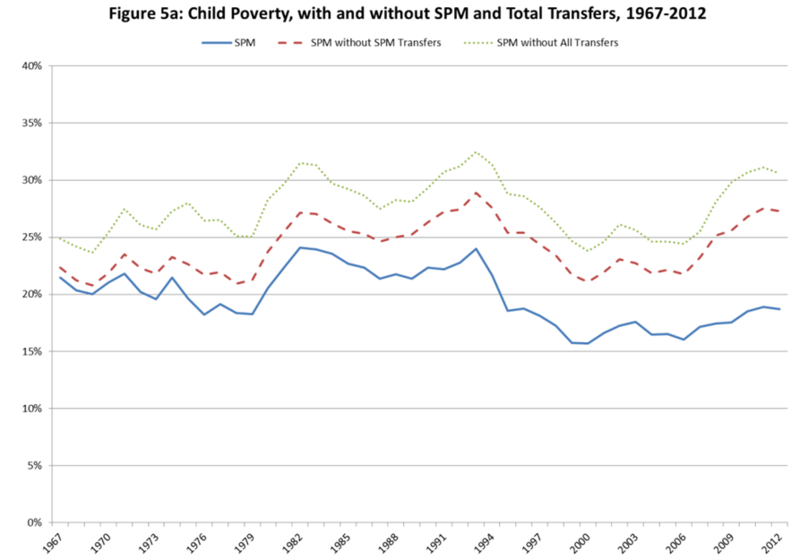 Waging War on Poverty: Historical Trends in Poverty Using the Supplemental Poverty Measure. NBER working paper, 2014. 3. Some States Are Leading the Way. State-led initiatives to improve early childhood circumstances also show promise in promoting social mobility. Congress voted to extend funding for innovative state initiatives that strengthen home-visiting programs for new mothers. Two-generation programs that help both parents and children (such as these home-visiting programs) have the potential to reduce childhood health problems, decrease the need for remedial education when the child enters school, and improve parenting skills. Colorado has gone one step further, helping women plan pregnancies by providing them with long-acting, reversible contraception (LARCs). These women no longer need to remember to take pills or apply patches, and the results are promising. Colorado counties with LARC promotions saw a 24% decline in the proportion of births classified as “high risk,” compared to a 6%, statistically insignificant decline counties without the program. 4. Children Are Healthier. We’ve made some progress on children’s health, too. 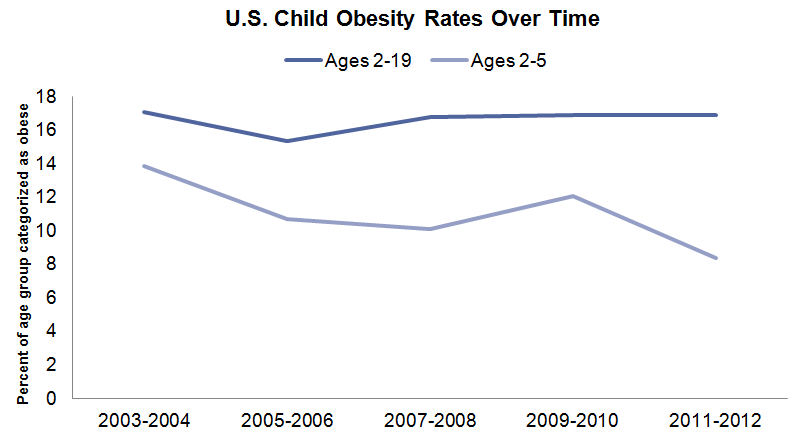 Although average childhood obesity rates remain stubbornly high, there’s evidence of some progress among the youngest children: rates have fallen roughly 40% among 2 to 5 year-olds. Better policy might deserve some of the credit. The Special Supplemental Nutrition Program for Women, Infants, and Children program (WIC) now features more fresh fruits and vegetables. Source: Prevalence of Childhood and Adult Obesity in the United States, 2011-2012, Ogden et al., The Journal of the American Medical Association, 2014. 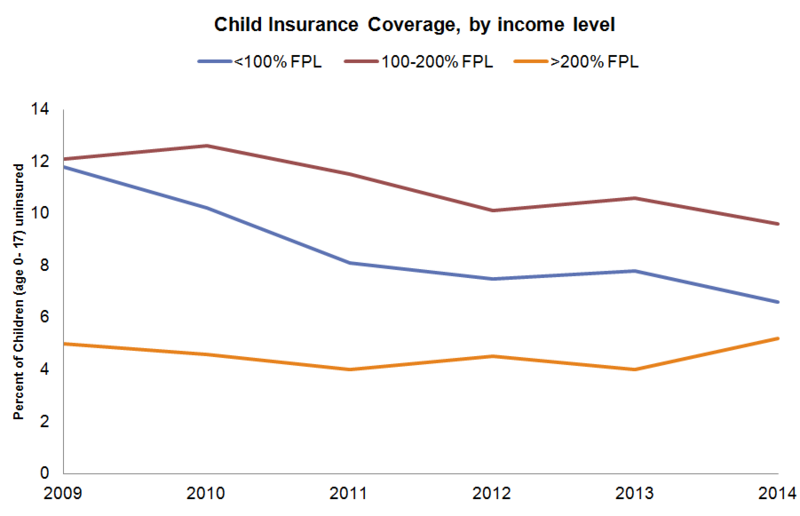 Additionally, more low-income children now have health insurance, with a particularly steep drop after the first enrollment period for the Affordable Care Act’s exchanges. A large number of studies suggest that access to healthcare improves earnings and well-being later in life. If these kids’ insurance translates into better care, they’ll have a better shot at the middle class. 5. Mobility Has Gone Political. Politicians are waking up to the need to act in order to promote social mobility. President Obama called it “the defining challenge of our time”; on the conservative end of the political spectrum, Paul Ryan declared that the ‘engine of upward mobility has stalled’ and set out some challenging new proposals. The recent focus on spreading opportunity may pave the way for cooperation—and much needed action to help our most vulnerable citizens succeed. There is lots of bad news on lots of fronts. But in terms of prospects for mobility, it’s not all doom and gloom. Happy Thanksgiving!